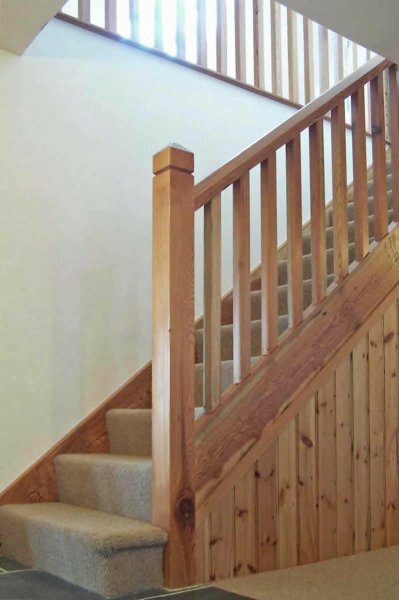 Nothing quite transforms your house like a beautiful, bespoke, wooden staircase. 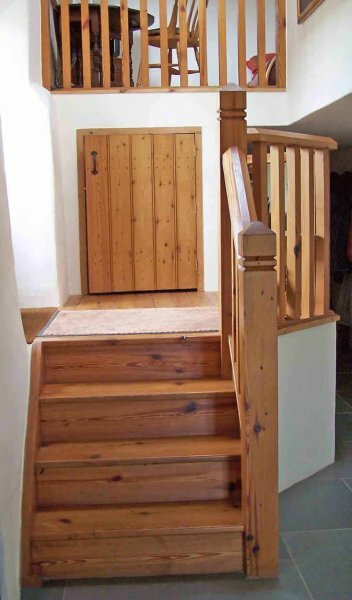 We specialise in building solid, natural wood stairs of simple high-quality design to harmonise with cottages, farmhouses, barn conversions etc, yet we can construct more complex, turned designs at the request of our customers. 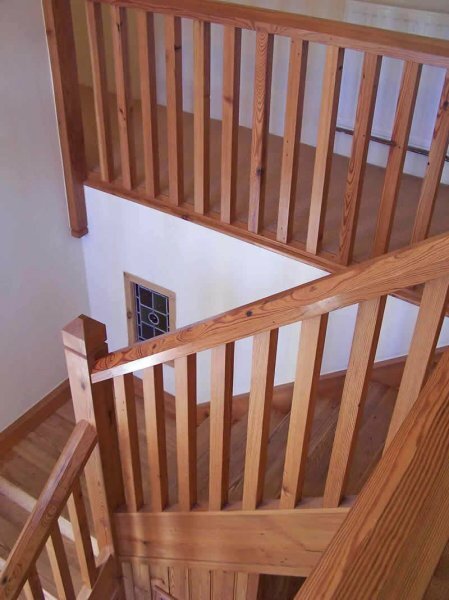 Our solid wood stairs are constructed by fully-trained and highly-skilled craftsmen in our joinery workshop. 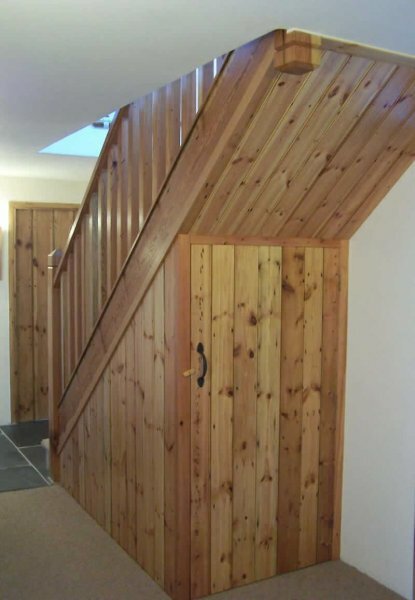 The timber we use is either reclaimed pine, golden pine, pitch pine, oak or else a mixture of these. Sustainable, reclaimed timber has an intrinsically beautiful character and depth of colour as well as offering us a way to help care for the planet. It is important to position the joists and trimmers correctly to fit the stairs. In our experience some architects and builders get this wrong and it proves costly for the client to make alterations afterwards. So please don’t hesitate to give us a call should you want to discuss this. 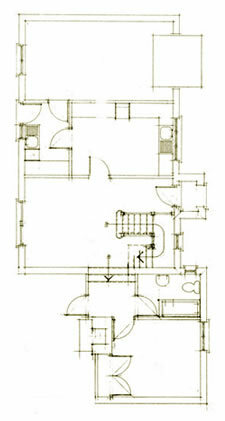 We have a quick stair calculator program which means we can get back to you without delay, well within 24 hours. Beautiful hard natural floors are a desirable and affordable choice. Our stunning, traditional floors will take your breath away and range from polished floor boards to slate and terracotta tiles. Practical, hard-wearing and resilient to dirt and stains when properly cared for, our floors will last a lifetime and more, forever retaining their splendour. In fact we think the more they are used, the more they mature, giving your home a floor that gleams with quality and distinction. Unlike carpet, solid hard flooring is hygienic, easy to clean, and will endure a lifetime of traffic making it a truly affordable option. 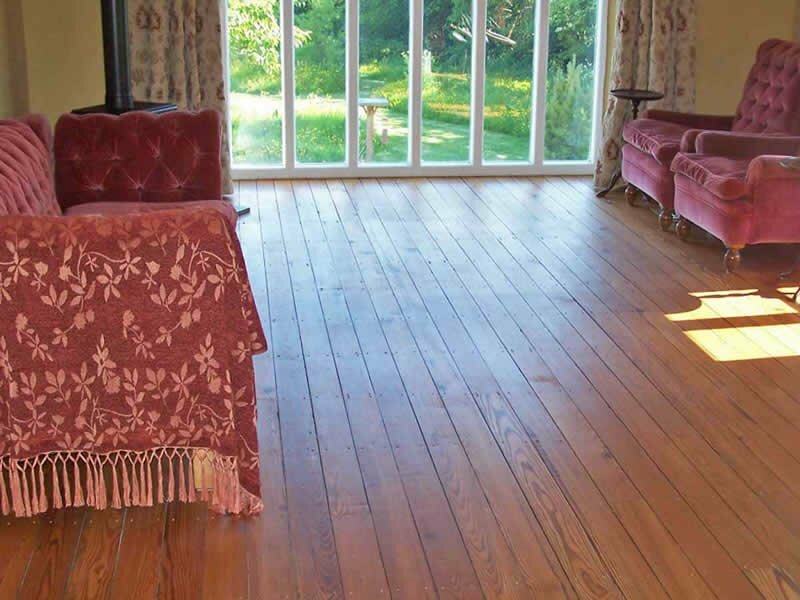 We use pine, pitch pine, or oak reclaimed floorboards as well as new timber flooring. 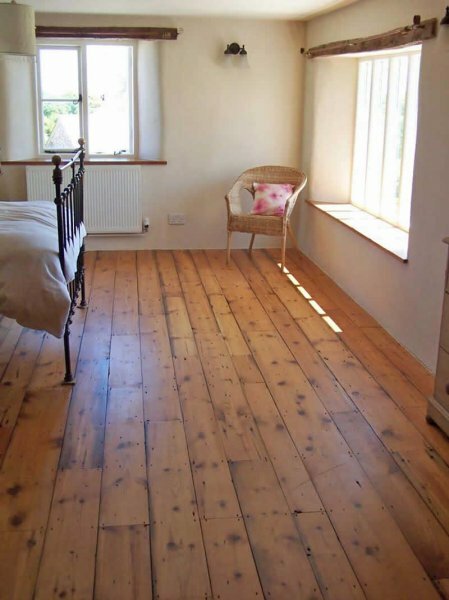 We can either replace existing floors with reclaimed or new floorboards or we are able to renovate old existing floors where the wood has not deteriorated. The natural based oils and waxes we use come in a wide colour range and provide a tough, resistant, and extremely durable finish. 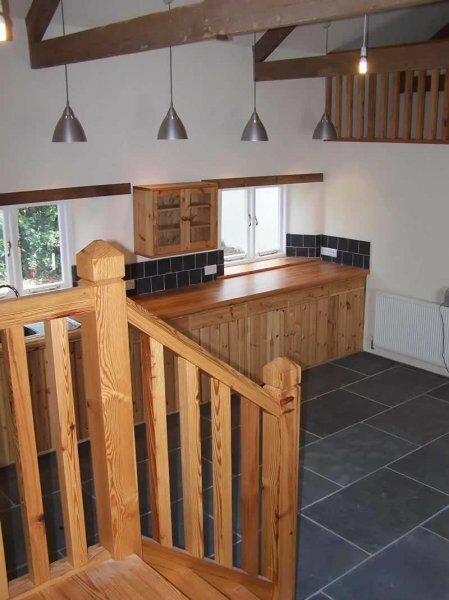 Traditional natural slate tiles are always a suitable choice for hard flooring. They range in size from 6” x 6” (150mm x 150mm) to 4’ x 4’ (1200mm x 1200mm) and can be laid in various patterns, always beautiful and appropriate whether used in old or modern buildings. 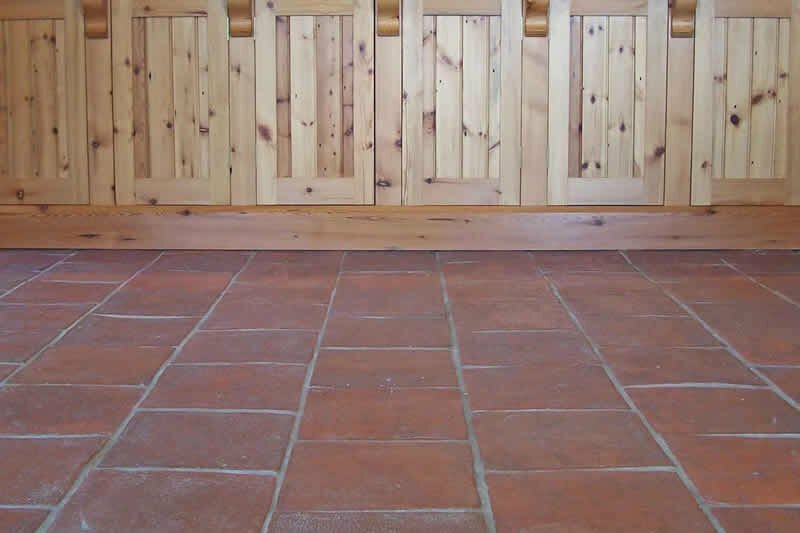 Terracotta tiles are another traditional floor covering for kitchens in particular, the pinky red colour lending warmth whilst perfectly harmonising with natural wood. We are happy to talk over any ideas customers may have. Either call us on 01237 875 003 or email us with sizes and material selection and we will get back to you promptly, normally well within 24hrs.